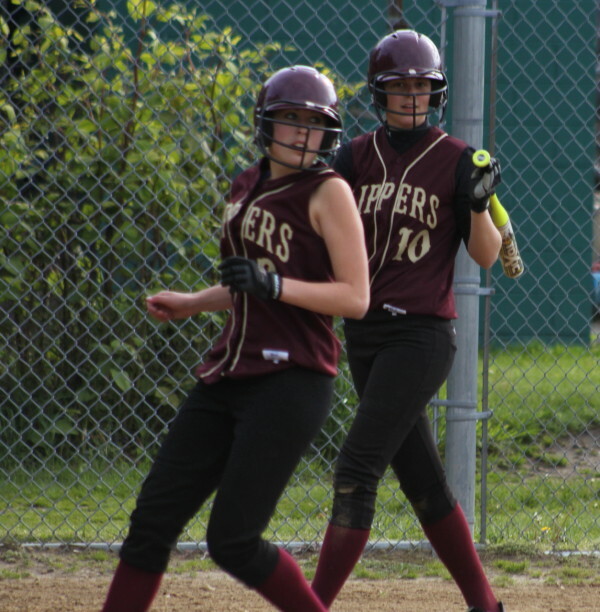 (Newburyport) The Newburyport Clippers (8-6) scored an unearned run in the bottom of the eighth to walk off to a 3-2 win over North Andover (4-8) on Friday afternoon in Cape Ann League softball action. Runs were hard to come by in this one although NA had two quick ones in the first. The Clippers had a run in the first and another in the 4th. There were plenty of base runners, thanks to seventeen hits and six walks, but both pitchers (Beth Castantini and Kim Crucioli) successfully pitched out of jams most of the afternoon. Carley Siemasko hustles down the first base line in the 8th inning. In the game-ending inning, Lea Tomasz led off with a single up the middle. Molly Rowe’s infield grounder got Lea to second. Carley Siemasko then hit a full-swing dribbler to pitcher Kim Crucioli’s left. 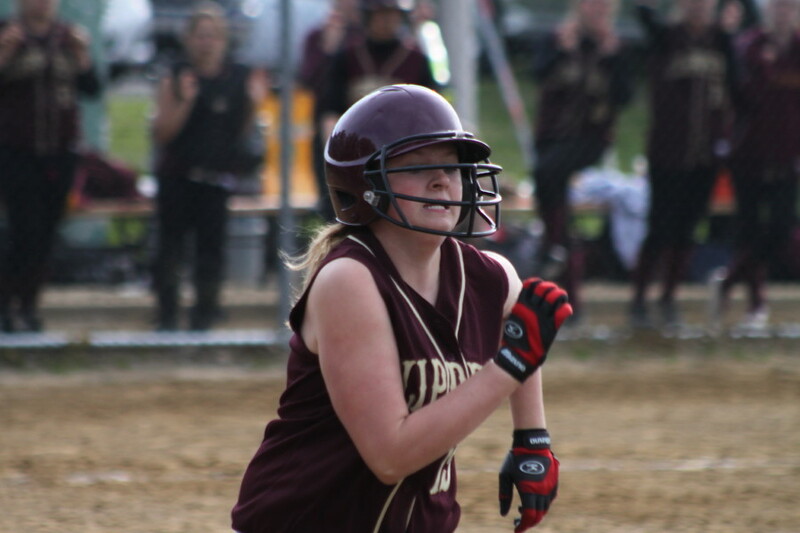 Carley hustled down the line and the play was going to be close at first. 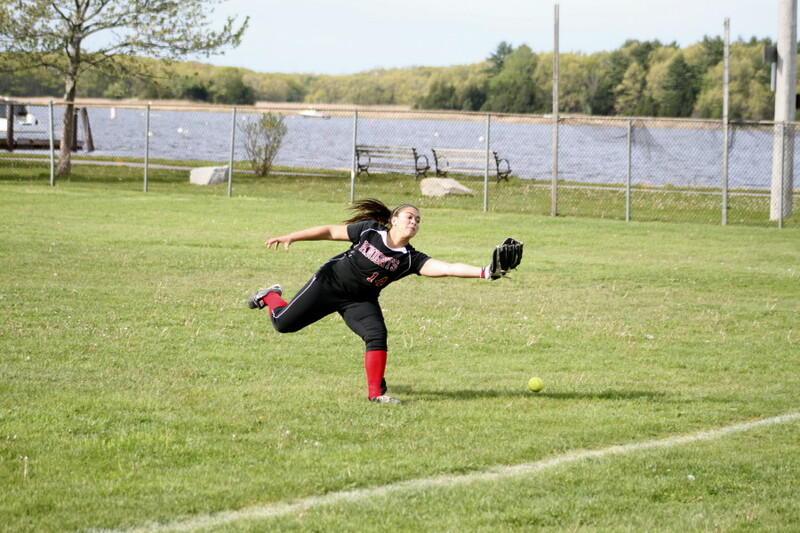 However, Kim’s throw was high and went off the top of first baseman Haley Kosheff’s glove into right field allowing Lea Tomasz to come across with the winning run. The way North Andover started the game you never would have expected such an outcome. 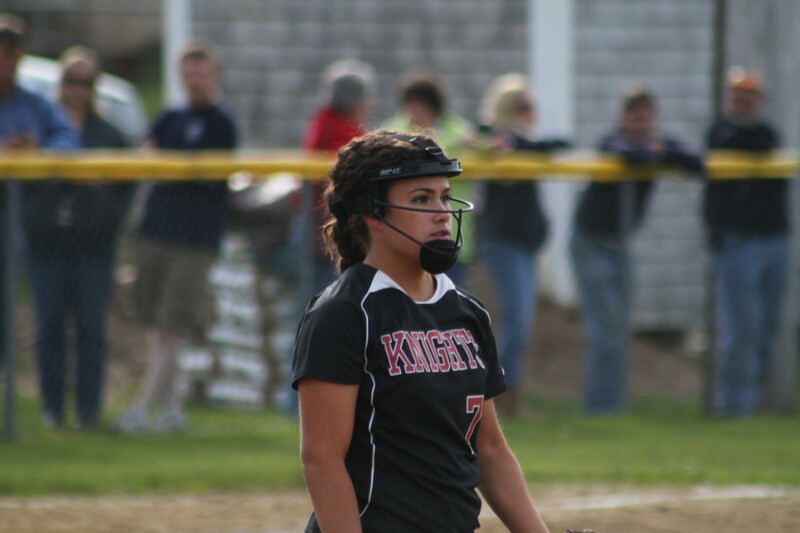 Their first two batters (Sara McCarthy and Courtney Green) doubled and the Knights quickly had a run. Two batters later, Gwen Vozeolas blooped a two-strike single down the right field line and NA had a second run. Sara McCarthy touches home with the first Knight run. But thereafter the Knights would only threaten and fall short. They left runners on in every inning but the second. They had a runner (Sara McCarthy) on third with one out in the seventh and runners on second (Haley Kosheff) and third (Jaclyn Decologero) with two outs in the eighth. 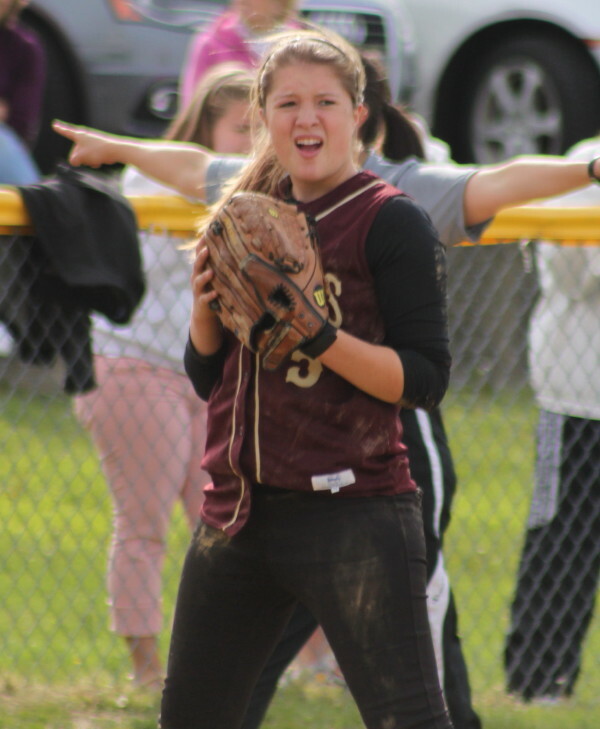 Newburyport pitcher Beth Castantini induced infield grounders to escape both threats. Newburyport picked up their first run in the first inning. Kendra Dow walked, stole second on a close play, and came home on Lea Tomasz’s double to right center. The Clippers tied the game in the fourth. 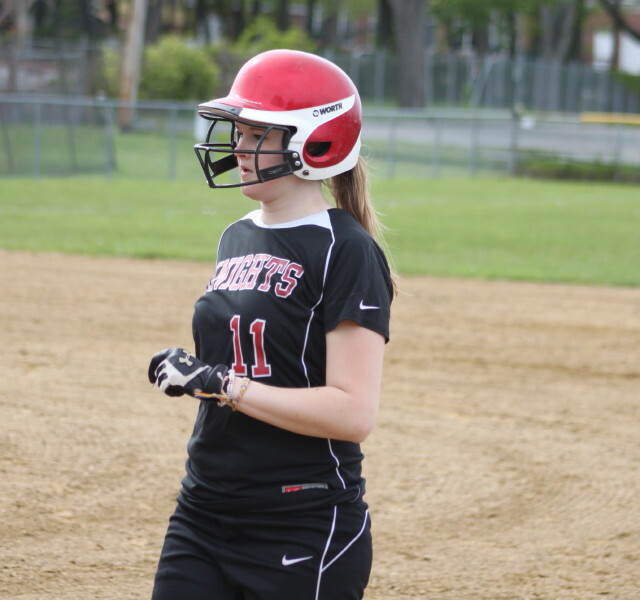 Molly Rowe hit a bloop down the right field line that Jess Bramanti couldn’t quite reach. 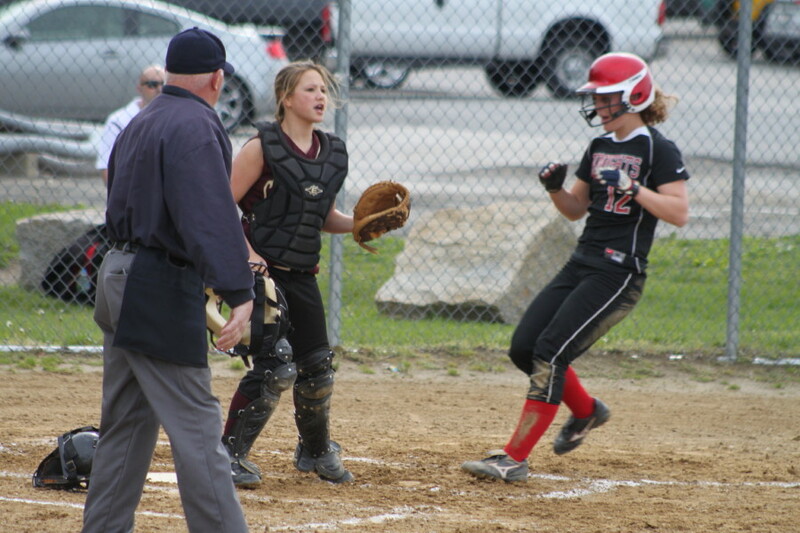 Molly ended up on third on the play and Carley Siemasko’s single to right brought in Molly with the tying run. 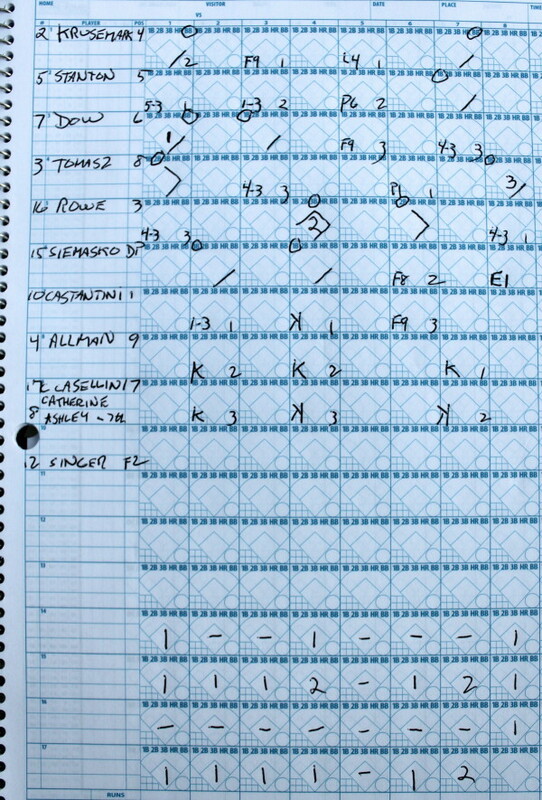 Newburyport nearly won the game in the bottom of the seventh. Jackie Krusemark was on first after a walk with two outs. Maddie Stanton ripped a line drive to left that leftfielder Gwen Vozeolas was able to stop at the last second. If that ball had gotten past Gwen I am quite certain that Jackie would have scored to end the game. Maddie Stanton made two big plays in the fourth. First the third baseman dove to snag a bunt attempt. Later she dove for third to get a force out. NA starter Kim Crucioli feasted on the bottom third of the Clipper lineup getting all seven of her strikeouts there. 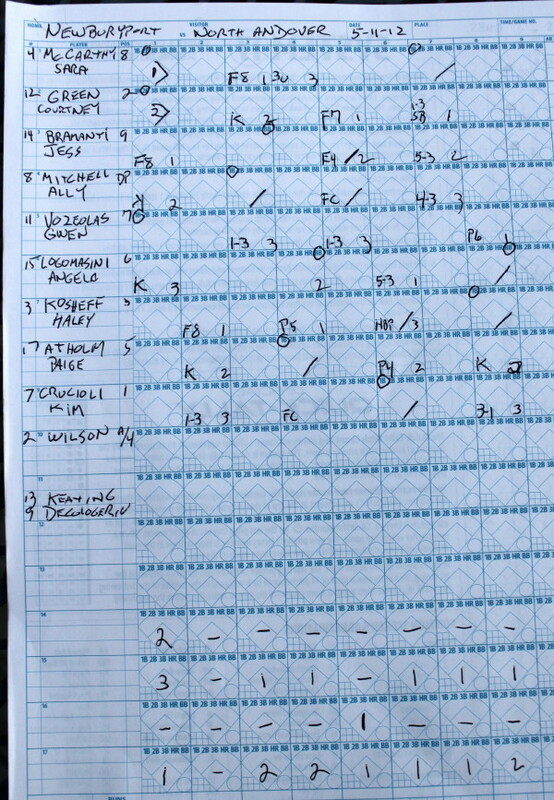 Winning pitcher Beth Castantini K’d five Knights. 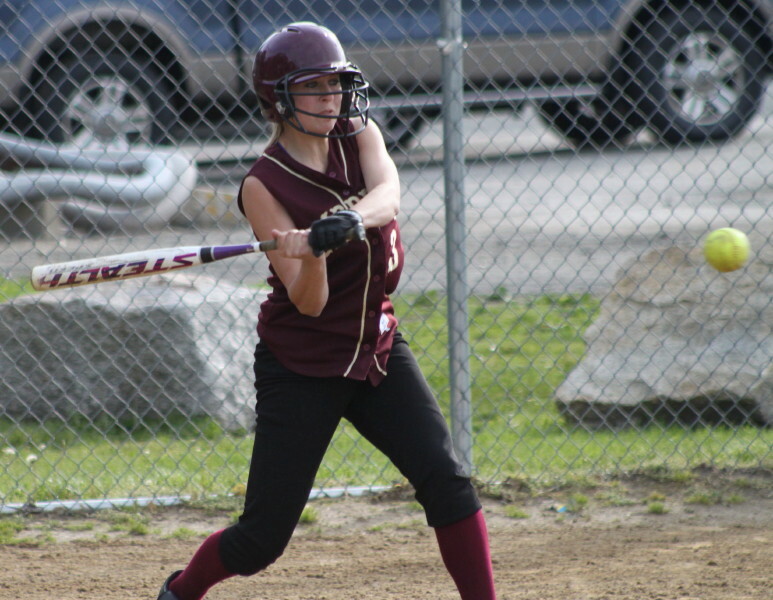 CAL All-Leaguer Sara McCarthy paced NA with two hits. 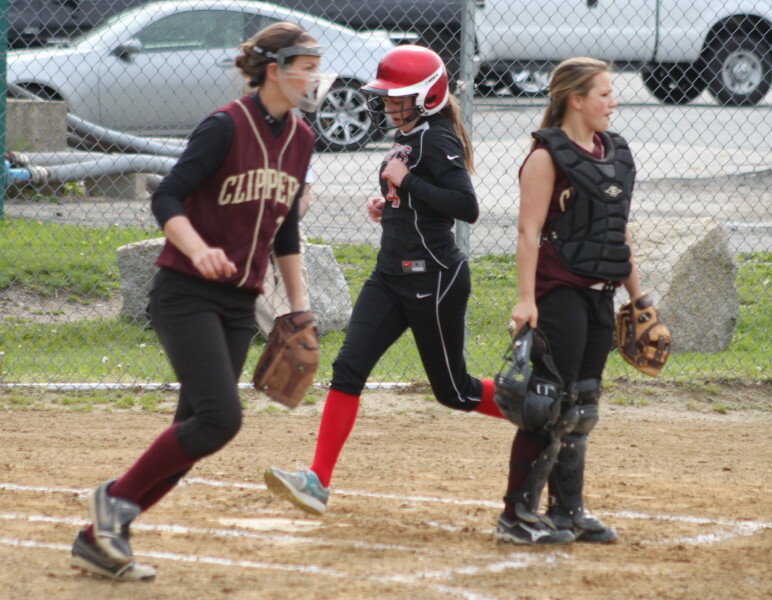 Junior Lea Tomasz, senior Molly Rowe, and freshman Carley Siemasko each had two hits for the Clippers. North Andover faces their neighborhood rival, Andover, tomorrow at home at 10AM. Newburyport’s next game will be at Georgetown on Monday afternoon. The weather started out cloudy (Will it rain?) and changed to warm (Why did I bring this jacket? ).